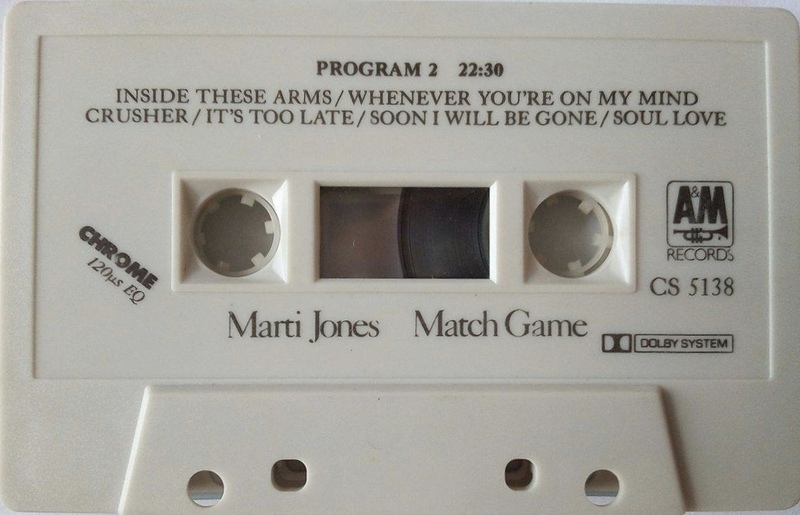 Marti Jones – Match Game. 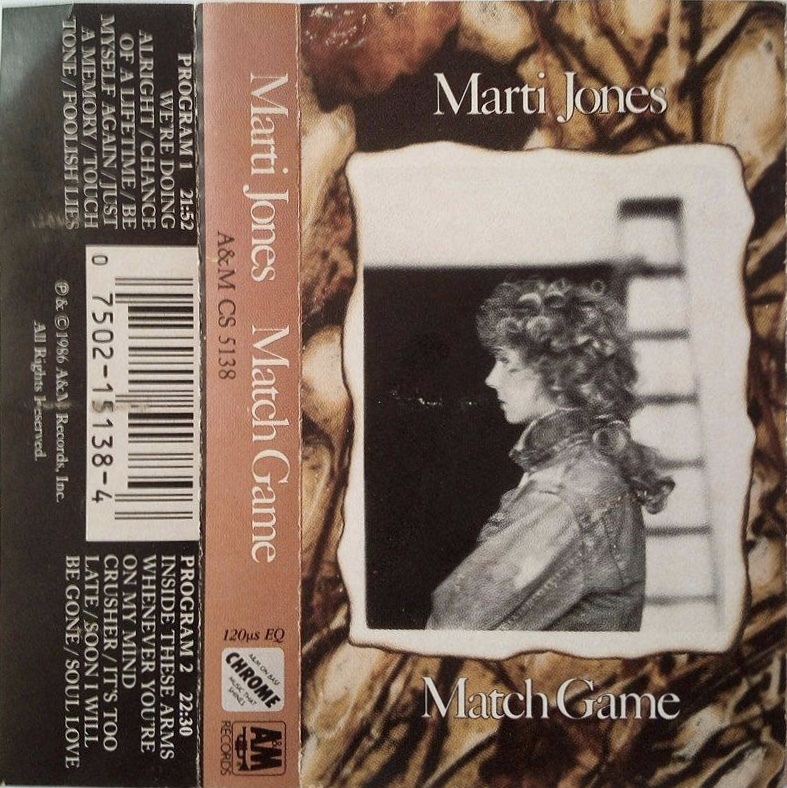 Marti Jones: Match Game; USA; A&M Records, CS 5138; 1986. 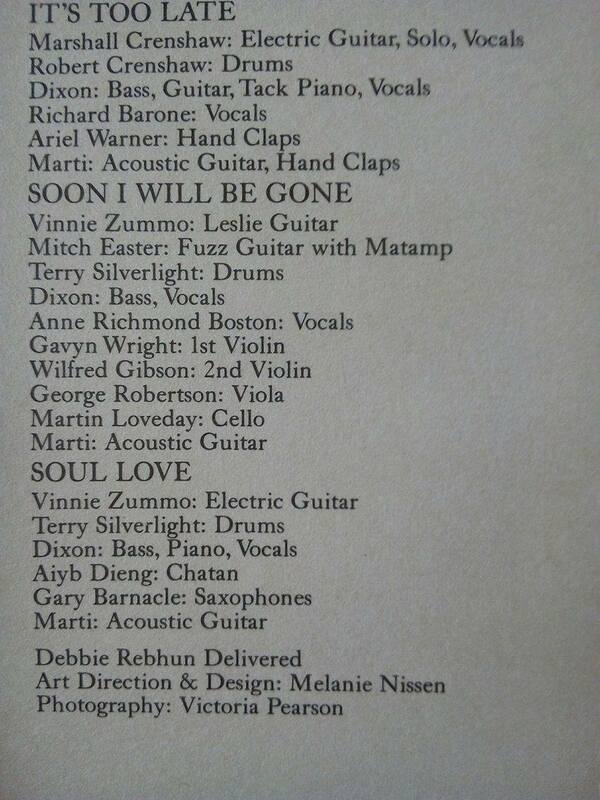 Cover version of ‘Soul Love’. Wife of famous musician and producer Don Dixon . Black lettering on a Light grey shell with Chrome tape, additional panel that hosts the lyrics.